This week we saw all Michigan seasons except real summer. Because real summer would have included humidity. But I did FEEL 70 degrees. So, maybe? This week I did a lot of volunteering, organizing, and shopping for softball accessories. 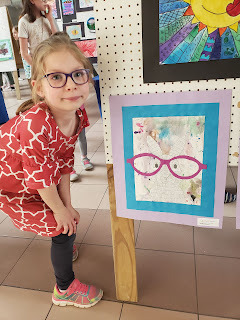 The kiddo had her art on display! The high of my week was hanging out with Fridays on Saturday. It was just an overall great day. 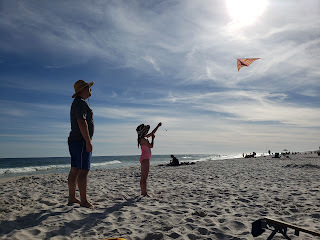 The weather was fabulous, we met some friends for lunch, I took the kiddo to practice, met back up with friends, the kids played outside, and we hung out until about 7:30. It was just a great day. The low of my week was trying to sleep comfortably. I keep playing the roll over and sleep, wake up, roll over and sleep game. I sleep well, but it's uncomfortable sleeping in on my side constantly. I have high hopes for the lasagna tonight. I haven't been consistently eating meat in months and lasagna sounds so darn good. What I’m listening to podcasts! My current favorites are Missing and Murdered, and Over My Dead Body. What I’m watching we just started The Code, and I like it! My plans for the weekend include more organizing and cleaning. Definitely going to watch the Masters at some point. No real plans at the moment. What are you listening to? What are you reading? I had a very slow reading time in February/beginning of March. Like when I was pregnant the first time, I literally cannot read in that first trimester brain funk from about 6 weeks to 13 weeks. I just couldn’t. I did manage to finish a couple things, but then the last week of March when I started to feel better I rattled off 3 books on our break! 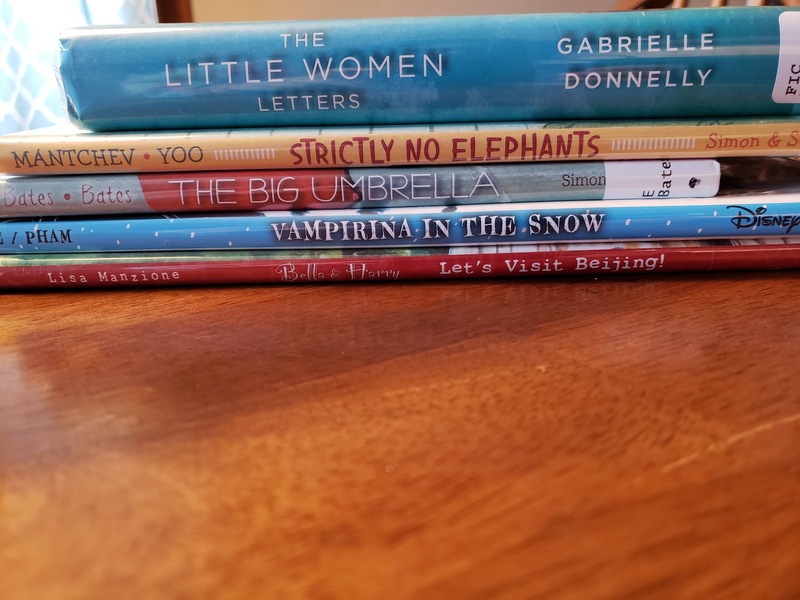 Today, I am sharing the books I read this past week. 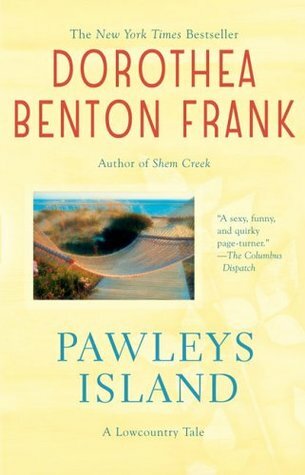 Pawley’s Island by Dorothea Benton Frank is the 5th book in the Lowcountry Tales series. This is a series that you most definitely do not need to read in order. They sometimes have characters that show up in other books but you could read literally any in this series as a standalone. I picked this up from fill a bag day at our local library many moons ago. I am working on clearing off some shelf space as we make room for another human in our house! 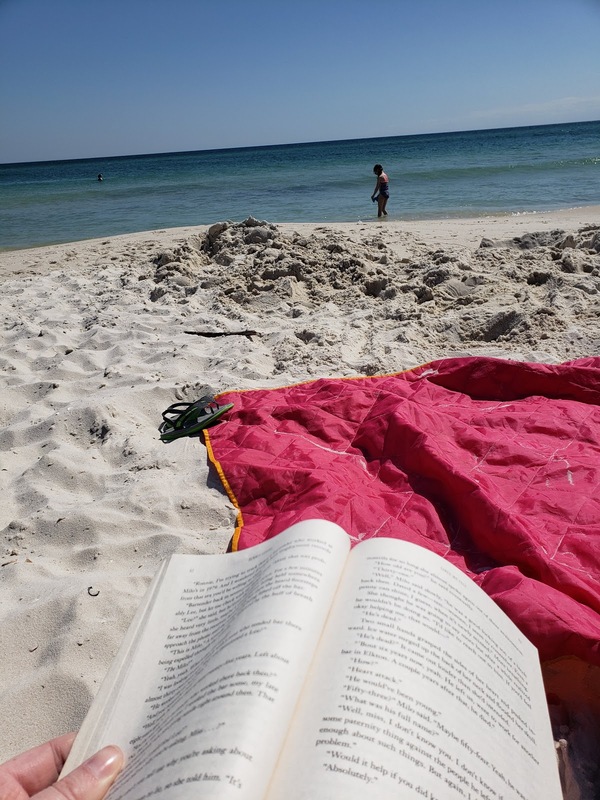 Pawley’s Island is the story of Rebecca Simms and her very messy divorce, Huey Valentine and his generous nature, and Huey’s best-friend Abigail who retreated to the island after heartbreak. These three mesh and bring about a nice quick story about friendship, moving on, and helping each other out. I like these books because they are quick reads that delve into characters and have a lot of South Carolina low country thrown into them. 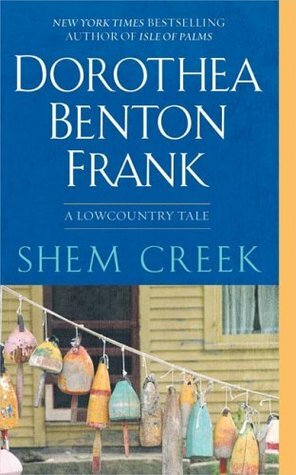 Shem Creek by Dorothea Benton Frank is the 4th book in the Lowcountry Tales series. 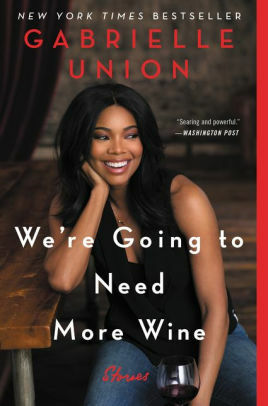 Which I totally read after the 5th. I only noticed one character that was in this book that made a brief cameo in the 5th book as a buyer of art. But I read these books so far apart normally that I wouldn’t even notice when other characters pop in! Shem Creek tells the story of Linda Breland and her escape from New Jersey to her childhood home of South Carolina. She needs to leave New Jersey because she is worried about her youngest daughter and sick and tired of only meeting men who forget to mention they are married! 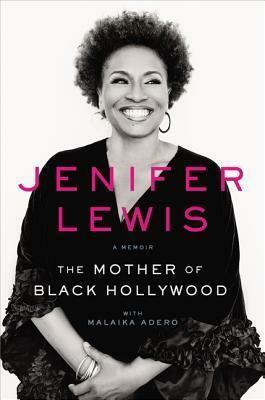 This book covers her career transition and how she and her daughters adjust to their move. I read it in one day. Super quick. 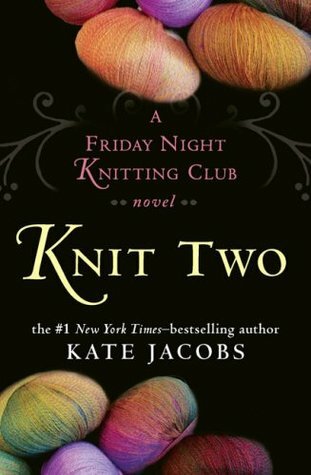 Knit Two by Kate Jacobs is the second book in her Friday Night Knitting Club series. I honestly read the first book over 10 years ago and you could totally read this book as a standalone too. They make enough references to things that happened in the first book that it worked. Because I literally couldn’t remember anything besides that I loved the first book! If I was a person with oodles of time, I’d re-read the first and then read this, but clearing the shelves is the main goal right now! The book joins up with the characters 5ish/6 years since the last book. It catches you up with their lives and how they are changing and growing and if they are all the same people who met together and perhaps touches on if they have out grown each other. This was a sweet tale, with international travel and good character growth. 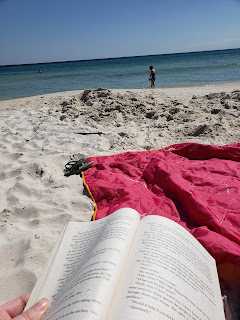 All of the books I read this week were super quick, totally would be great beach reads and had great characters. Which, if we delved into the week before was all murder and mystery. I keep it changing! I just started Rise and Shine by Anna Quindlen and I’m about 10 pages in. Alice & Gerald is a true crime story about two psychopaths (my conclusion). Alice and Gerald meet when their trailers are parked next to each other in Wyoming. They both have multiple failed marriages between them when they end up falling in “love”. I use quotations because as messed up as these two are, do they even know what love is? Alice appears to be a very controlling person who feels past relationships should stay in the past. Gerald, however, has an ex-wife with two children he adopted and is responsible for their health insurance and child support. One day, Gerald’s ex-wife and two boys disappear. The police aren’t concerned because it’s Wyoming, the mom is nomadic, and her mother, Claire, receives a message that says she’s in Illinois. However, the ex-wife’s mother is pretty convinced that Gerald is involved. Since her daughter had called a lawyer, THAT DAY, to talk about more child support and the fact that Gerald and Alice had been very hostile towards his ex-wife and her children. So began 20 plus year cold case investigation where Gerald and Alice remain free, even with a lot of circumstantial evidence against them. It takes some very determined investigators to keep the case moving and the victims remembered. The book takes you through some of the horror that Alice’s children faced while growing up, and the many twists and turns that the investigators take while trying to prove Alice and Gerald are responsible for the disappearance of Gerald’s ex-wife and her two boys. 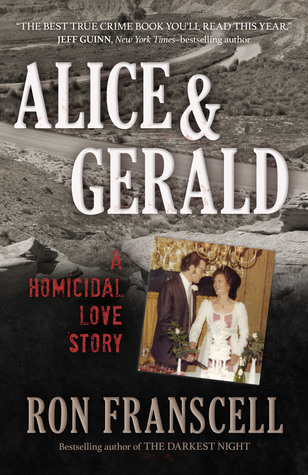 Alice & Gerald: A Homicidal Love Story by Ron Franscell will be released on April 9th! Description: True-crime master Ron Franscell tells the grisly story of a cold case involving multiple murders committed by a husband-and-wife team. The appalling details are made even more vivid by the author's familiarity with the Wyoming times and places that formed the backdrop of his national bestseller The Darkest Night. Would you kill for love? After Alice, a desperate young mother in a gritty Wyoming boomtown, kills her husband in 1974 and dumps his body where it will never be found, she slips away and starts a new life with a new love. But when her new love's ex-wife and two kids start demanding more of him, Alice delivers an ultimatum: Fix the problem or lose her forever. With Alice's help, he "fixes" the problem in an extraordinarily ghastly way ... and they live happily ever after. That is, until 2013, almost forty years later, when somebody finds a dead man's skeleton in a place where Alice thought he'd never be found. Featuring a femme fatale whose manipulative, cold-blooded character rivals Lady Macbeth, this page-turner by bestselling true-crime author Ron Franscell revisits a shocking cold case that was finally solved just when the murderers thought they'd never be caught. 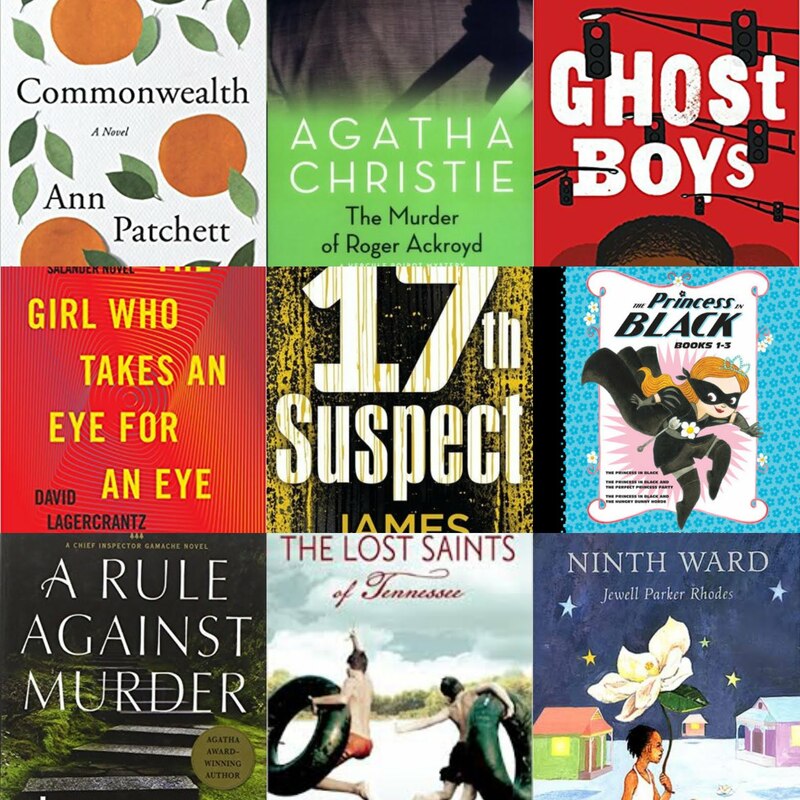 Do you like reading True Crime? My library obsession is getting out of control. I currently have 27 books out. I need to stop. My book love is crazy. Let's be real, the child nor I will finish all of these before I have to return them, but I just love to have books! I almost made it out of there with no books for myself. But on a display I saw, The Little Women Letters, SO of course I had to grab it! The sad truth right now is that the book I just finished and the one I am currently reading are not even library books. My book club book was a Christmas gift and Becoming by Michelle Obama *current read* was a present too! 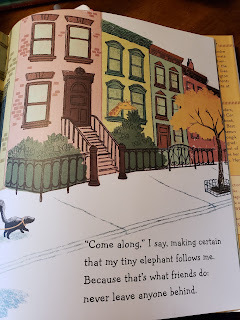 I went in search of some picture books about kindness because we need a refresher here in this house on how we treat people. I'm really excited to share Strictly No Elephants with the seven year old. 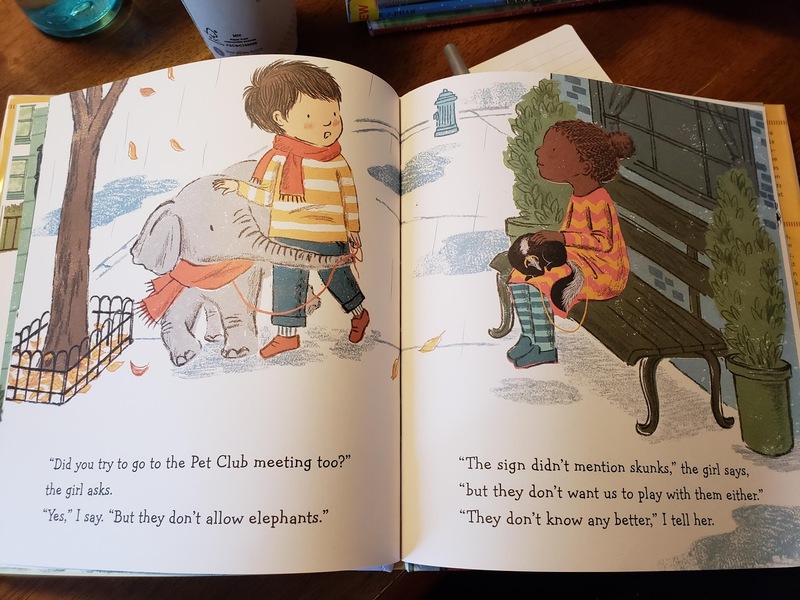 This has great illustrations and a good reminder that no matter what you have or who you are, we can all get along. Friendships are hard, and my kiddo is currently struggling with having multiple friends that aren't really friends with each other. The logical answer is --- hey children can't you all play together and include each other in your gosh darn game????? But of course, there is complications. And I'm irritated that my child was being a silent participant in this drama. So hopefully this book and The Big Umbrella, which talks about how there is room for EVERYONE will help us. When I was looking then I saw the book about Beijing and since she is learning Mandarin and learning about Chinese culture I figured she might enjoy this, and she LOVES Vampirina so that was a no brainer. 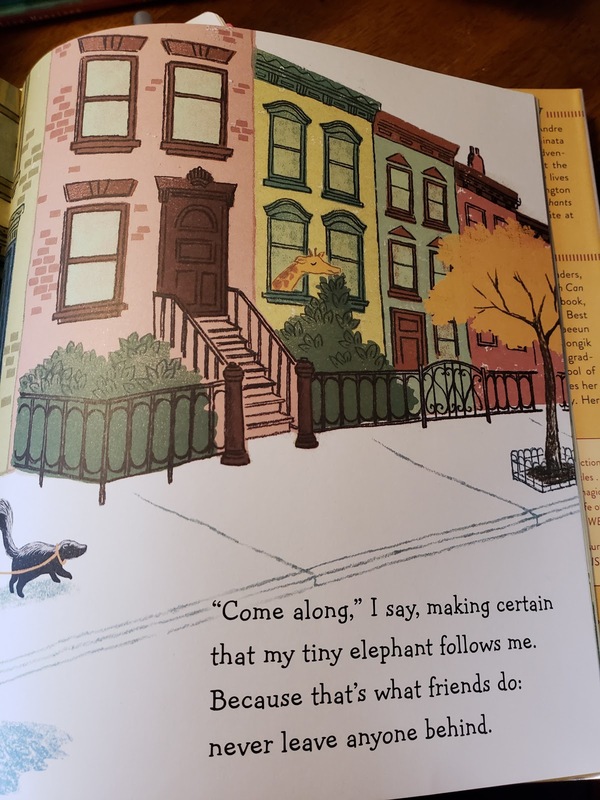 What are your favorite books on friendship? I saw this book meme about using titles of books you read in 2018 and decided to give it ago! Feel free to do so yourself! You and your friends are: Who Thought This Was a Good Idea? If you don't want to do the whole list, please humor me with the following... You and your friends are? Describe yourself ? Your favorite time of day is? Time for my 2018 Reading Recap. This may be slightly inaccurate as it is based upon my faulty memory. Here is my recap from 2017, 2016 , 2015 , 2014 , 2013, and 2012 . Thanks to Marie for introducing it to me! How many books read in 2017? – 80! My goal was 52 and I blew that out of the water. I read a ton of middle grade books this year which is probably the reason I read so many. But when I’m in a good book, I read it quick! Last year I read 54 so this was a big jump! How many fiction and non fiction? 7 non fiction, 73 fiction. Like usual, most of my non-fiction were memoirs. Though I read a lovely biography about Lady Bird and Lyndon Johnson, called Lady Bird and Lyndon by Betty Caroli! This was 5 more non-fiction than last year, which I’ve been meaning to improve on. Male/Female author ratio? 66 female and 14 male. I did read the same author multiple times but I just went with each individual book to figure into my count. Diversity of authors: 13 books I believe were written by people of color. Which author was new to you in 2018 that you now want to read the entire works of? This was Jewel Parker Rhodes, and I do believe I did read all of her books!! Favorite book read in 2018? I looked and I gave 13 books 5 stars at the time of finishing. I would probably adjust that now. Looking back the books I loved the most and recommended the most are: The Wife, The Maid, and the Mistress by Ariel Lawhon, The Last Town on Earth by Thomas Mullens, We’re Going to Need More Wine for This by Gabrielle Union, Ghost Boys by Jewel Parker Rhodes, The Third Hill North of Town by Noah Bly, Enrique’s Journey by Sonia Nazario, The Lost Words Bookshop, by Stephanie Butland, The Miscalculations of Lightning Girl by Stacy McAnulty, Wonder by R.J. Palacio and Premeditated Peppermint by Amanda Flower. Least favorite? The Uncoupling by Meg Wolitizer The Murder of Roger Ackroyd by Agatha Christie, Bayou Magic by Jewel Parker Rhodes, and Wicked City by Ace Atkins (hands down my very least ). Any that you simply couldn’t finish and why? The Underground Railroad by Colson Whitehead. It needed to go back to the library and just wasn’t the thing I wanted to read at the time. How many books from the library? 56! Which is up from 21 last year. I have gone to the library so much. Like weekly, sometimes twice weekly. It’s an addiction. Which then leads me to books that I can’t finish in time. How many books read did I purchase? 5 and 2 were bought previously. Which is way less than normal. The year before I purchased 12! I also have to say that I have gotten some at used book sales that I’ve read yet. But I think I’ve read all the ones I purchased in 2018. How many books read on kindle? 1, When I re-read The Handmaid’s Tale I did it on the kindle because I couldn’t find my copy. And actually most of it was done on my phone basically ha. Any re-reads? The Handmaid’s Tale, Little House on the Prairie, Farmer Boy and On the Banks of Plum Creek. Which countries did you go to through the page in your year of reading? United States, Italy, England, Mexico, Honduras, Sweden, Germany, Canada, and Iraq. What states did you go through the page in your year of reading? Florida, New York, New Jersey, Washington D.C., Minnesota, Wisconsin, West Virginia, Texas, Missouri, Maine, Pennsylvania, South Carolina, Virginia, Massachusetts, Illinois, Washington, Alabama, Georgia, California, Louisiana, Tennessee, Indiana, North Carolina, Nevada, Ohio, and South Dakota. 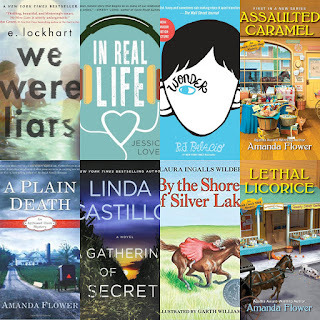 Which book wouldn’t you have read without someone’s specific recommendation? We Were Liars by E.L. Lockhart, and The Art of Fielding by Chad Harbach. What was your best reading month? December when I read 11! Followed by July with 10! What was your worst reading month? May, I only read 3 books. 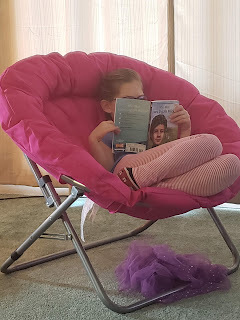 - Watching my kid fall in love with reading. - Watching my kid fall in love with historical fiction and non-fiction. - Watching my kid get excited to read a chapter book IN ONE DAY!!!! - Planning a visit to the Laura Ingalls Wilder museum. - Getting Michelle Obama's book for Christmas. 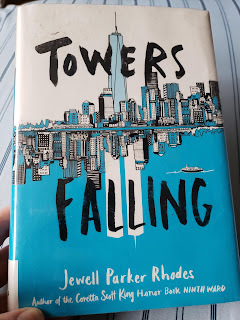 - Listening to Jewel Parker Rhodes on Longest Shortest Time and reading Ghost Boys. - Having Laura Lippman and Allison Winn Scotch tweet back and forth with me. - Doing family read alouds together. - Reading together with my kiddo. 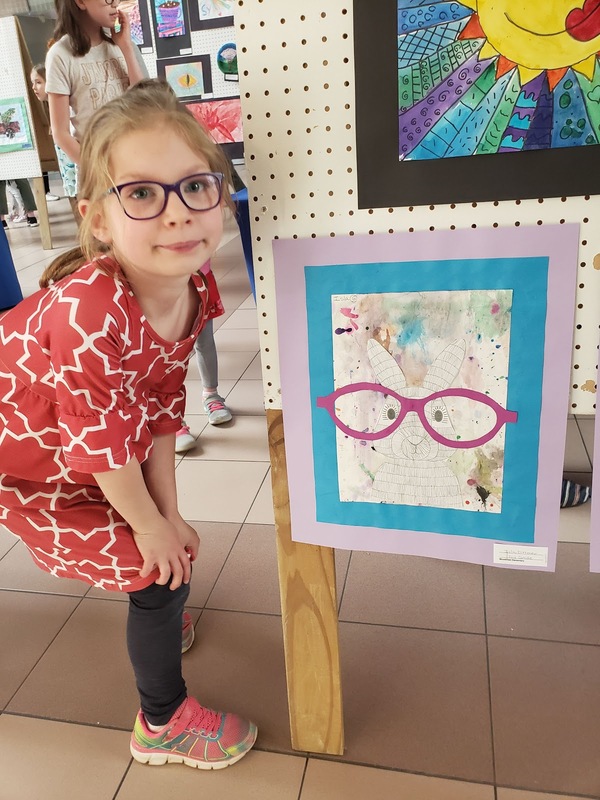 - Volunteering at the elementary library and seeing kids excited about reading and learning about new books and seeing how awesome the library is at the school! 1. Read 52 books. – Killed this with 80! 2. Keep doing Family Chapter Book Read Alouds. – Killed this! 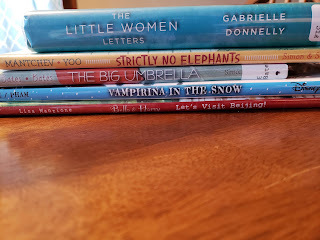 We finished 4 Little House books in 2018, the kiddo and I also did our own read alouds multiple times and we are actually putting a Little House stop on our Spring Break trip this year! 3. Read more historical non-fiction. – Well I improved my non-fiction reading. However I think my only historical fiction was Lady Bird and Lyndon. I did read some political non-fiction that included some recent history. I did read a lot of historical non-fiction. I did not make it a goal to read middle grade, but apparently that’s where my heart was at this year! 1. Read 52 books. I was going to increase my goal but I also don’t know if I will be reading as much middle grade this year and I don’t want to increase my goal and then not make it. So I will say 52 again. 2. Read more books on my shelf. Continue donating so my living room book case looks better. 3. Try to do our family read aloud 5 out of 7 days a week. How many books did you read this year? Did you complete your 2018 reading goals? What are your goals for 2019? Which author did you read the most of? What was your most recommended book? Any you couldn't finish? I cannot believe that 2018 is almost over and that Christmas is so close! We have had one family Christmas already and have 3 more to go! I was going to go to the grocery store today but I decided that I'd wait until Monday and hopefully have that be my last time going. It probably won't be, but I can hope! This was before our Christmas party on Saturday! The high of my week was volunteering in the elementary library. 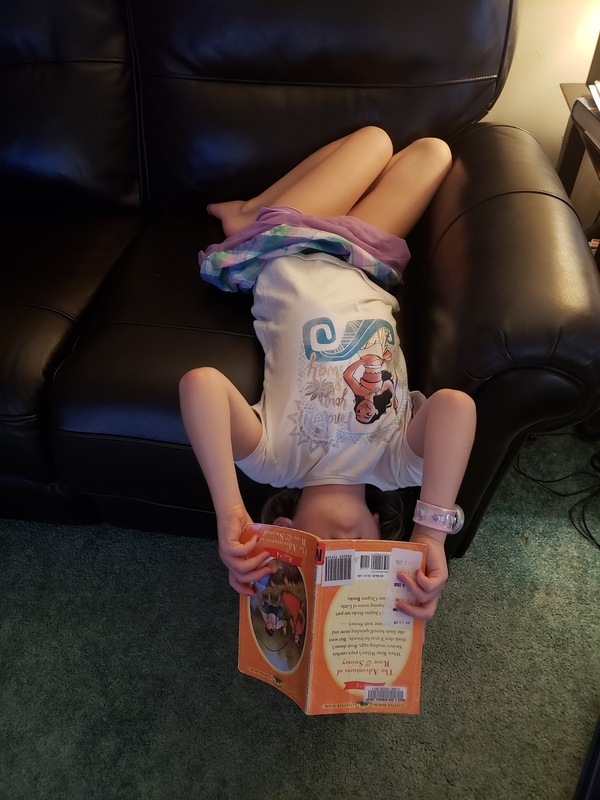 I've done it the last two weeks and it's so much fun to see what the kids are reading and how fast some books come in and back right out again! The low of my week was crappy sleep I got last night. I woke up around 3:30 and it was about the last time I really slept. Now I'm exhausted. Monday - Tacos, Blackberries and Spanish Rice . I tried this recipe for the first time and it was super simple. We all liked it. I would like probably a little more flavor , and I did used diced tomatoes with green chilies, maybe add some more spice. The One Pan Chicken Bake was a family hit. We will probably add this into our rotation on a semi-regular basis. What I’m listening to In the Dark and Christmas music! What I’m watching Hallmark Christmas movies! I've got it bad. What I’m reading: A Gathering of Secrets by Linda Castillo. 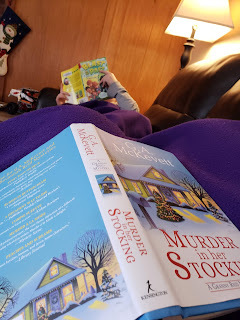 It's in the Kate Burkholder series and I'm on Chapter 3 and loving it! 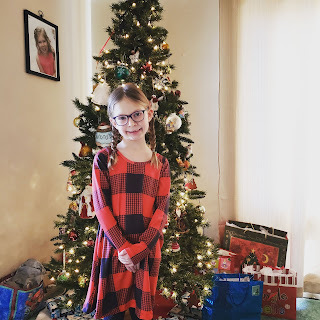 My plans for the weekend include tonight the kiddo and I are meeting up with her friend and mom so the girls can participate at the local center for their ornament swim. They get to swim and pick out an ornament, decorate it and have snacks. Tomorrow, the husband and the kiddo are doing some Christmas baking and I'll probably read. In the evening, the kiddo is attending my mom's church with her for a Parents Night Out event and we are going out to dinner and using some gift cards that have accumulated. My mom invited the kiddo over for a sleepover so we may hit up some live music after dinner. Sunday, the husband has to work for a few hours and I assume the kiddo will attend church with my mom so I will have some time alone to do more reading and be lazy. I've been flying through books this last week. I've been making good selections or my mindset, which resulted in me finishing 3 books since the weekend and 4 if you count the one I finished last Tuesday. I have a horrible tendency to put off popular books or books that are highly recommended. I feel like when I read them in the midst of the hype I over analyze, so then I put them off and feel like a dingbat when I do actually read them. 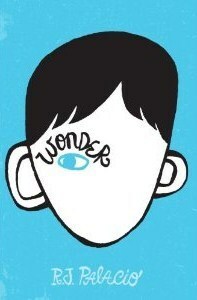 Wonder is sooo sooo sooo good. I loved it. I loved the voice of all of the children, found it relate able to young kids and such a good book. Please, don't be a dingbat like me and read it! I've actually gifted to a few kids without reading it, and now I will most definitely keep doing so! 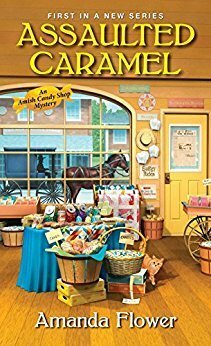 This is the first book in the Amish Candy Shop series and it was really good. I had previously read Premeditated Peppermint which is the third in the series and really enjoyed it. This gives you more details behind Bailey's move to Harvest, Ohio. It introduces you to the towns residents and is just a lovely cozy mystery! I really like Amanda Flower. 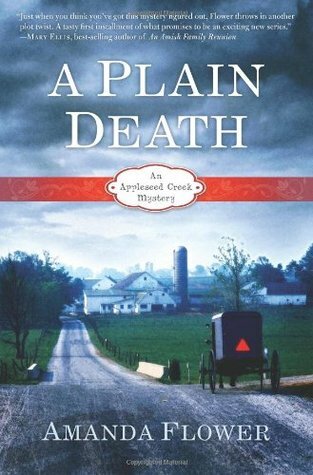 I devoured this Amish mystery! This is the first in the Appleseed Creek books! Chloe Humphrey gets her first job out of college which takes her from the big city to the teeny tiny town where her new employer Harshberger College is located. On her way into town she meets a young Amish girl and interrupts two local thugs harassing her. As Chloe settles into her new town and job, she makes new friends in the Troyer family and becomes embroiled in a murder case where she may be the real target! I can't wait to read more in this series! Today, I am staying on my Amish theme with A Gathering of Secrets by Linda Castillo. This is the newest book in the Kate Burkholder series that I love! Not only do I enjoy giving books, I love getting books! I'm not a reader who reads all the new things, so I am pretty open to books that have been out 40 years to recently out. 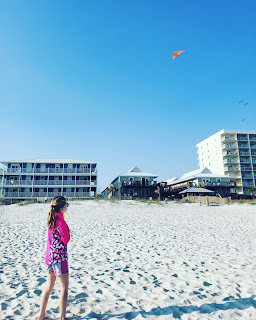 Here are a few that I'm wishing for this year! THIS BOOK I AM MOST EXCITED ABOUT. I may also know this wish is coming true. Because if it wasn't I'd have already purchased it myself. 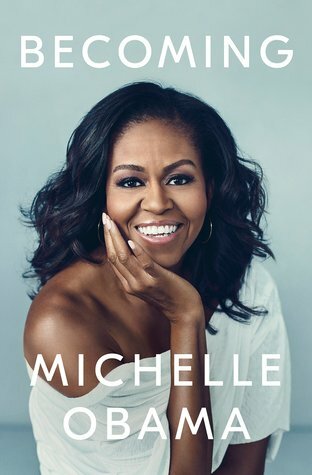 I am so excited to read this memoir by Michelle Obama about growing up and her time in the White House. I love memoirs, I love the Obamas', I loved Barack Obama's books, I love political memoirs. I CANNOT WAIT. What do you know, another memoir! I have started watching the series Blackish recently, and Jenifer Lewis plays the role of mother to Dre (main character) and grandma to his children. On the show SHE IS HILARIOUS. I saw her interview with Trevor Noah about the book, and it became a must read! 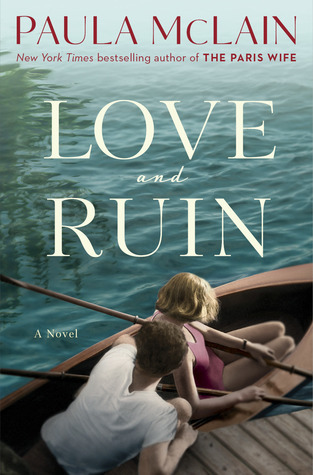 McClain who wooed me with The Paris Wife about Hemingway's first wife, has another book about Hemingway's woman loving ways. Description: In 1937, twenty-eight-year-old Martha travels alone to Madrid to report on the atrocities of the Spanish Civil War and becomes drawn to the stories of ordinary people caught in devastating conflict. She also finds herself unexpectedly—and uncontrollably—falling in love with Hemingway, a man already on his way to becoming a legend. In the shadow of the impending Second World War, and set against the tumultuous backdrops of Madrid, Finland, China, Key West, and especially Cuba, where Martha and Ernest make their home, their relationship and professional careers ignite. But when Ernest publishes the biggest literary success of his career, For Whom the Bell Tolls, they are no longer equals, and Martha must make a choice: surrender to the confining demands of being a famous man's wife or risk losing Ernest by forging a path as her own woman and writer. It is a dilemma that will force her to break his heart, and her own. Honestly, I did not read Anne of Green Gables when I was younger. I read it as an adult, but as a young child LOVED watching the PBS movies about Anne Shirley. 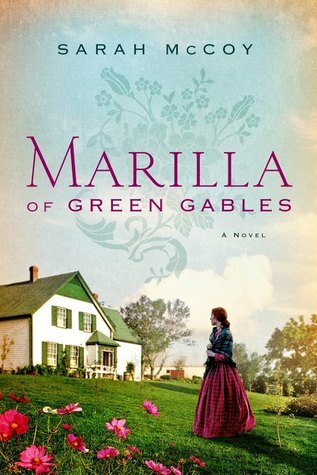 I am super excited to read this book about Marilla! To be perfectly fair, on my actual Amazon wishlist for Christmas only Becoming made the real cut. The rest of the books on it are my book club picks for January - June 2018! :) But if I didn't want someone else purchasing my book club picks, I'd include the others. What books are on your wishlist?